The albergue Casa Ricardo is situated in the caserío (large rural house) of Campiello and has belonged to the Francos family since the early 19th century. The original structural layout of the house has been maintained, including the farmhouse, bakery, well, corral and original bedrooms. The space that historically contained the corral of the caserío has been converted into what is now the albergue’s patio. A kitchen and bunk rooms have been added and in one of the bunks the building’s original well can be found in primitive form, unaltered since its construction. The double rooms Pumarín and La Panera were the old rooms used as lodging. People traveling on foot used to stay here as well as farmers who were migrating livestock and/ or who were going to the farmer’s markets and trade shows in the area. 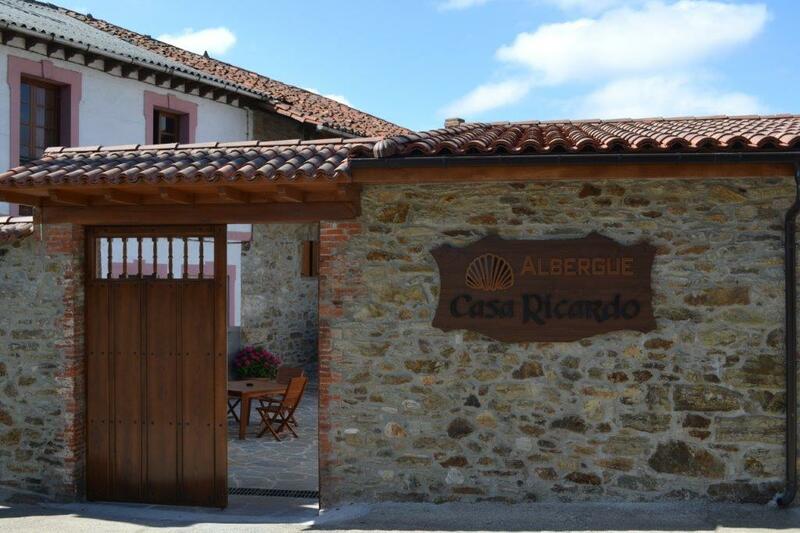 Situated in the small village of Campiello, belonging to the rural municipality of Tineo (Asturias), the albergue Casa Ricardo offers everything you need to rest and take a break as you make your way along the Camino Primitivo. It’s impossible to walk the Camino without passing by our place and our location is perfect for doing Los Hospitales leg of the journey. You will find us simply upon arriving to the village, on the right hand side of the road just in front of our bar-shop, also called Casa Ricardo. Our albergue, whose amenities are completely new, include a patio furnished with tables and chairs where you can kick back, relax, and get yourself ready for the next leg of the journey. 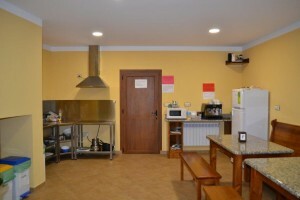 The place also has a large kitchen-dining room equipped with an induction cooktop, microwave, fridge, coffee maker and all types of utensils and silverware. Two shared bedrooms with bunk beds (fitted with single-use sheets and blankets) and individual lockers. Two full bathrooms for men and two more for women. Washer and dryer as well as an outdoor washboard and clothesline. Heating and first-aid kit. Additionally we offer two double rooms with private bathrooms. Free Wi-fi is available throughout the entire house as well as the outdoor area and there is also a place to keep bicycles. In order to get a good start to the day’s journey, a full breakfast is available everyday starting at 7am and can be enjoyed comfortably in our bar. And if you arrive worn out from a day on the Camino and don’t feel like cooking, we also offer a variety of sandwiches, pinchos (snacks), traditional homemade tapas and main courses. Additionally, in our shop / grocery store, you will find a wide range of products to accommodate the needs of most every pilgrim. 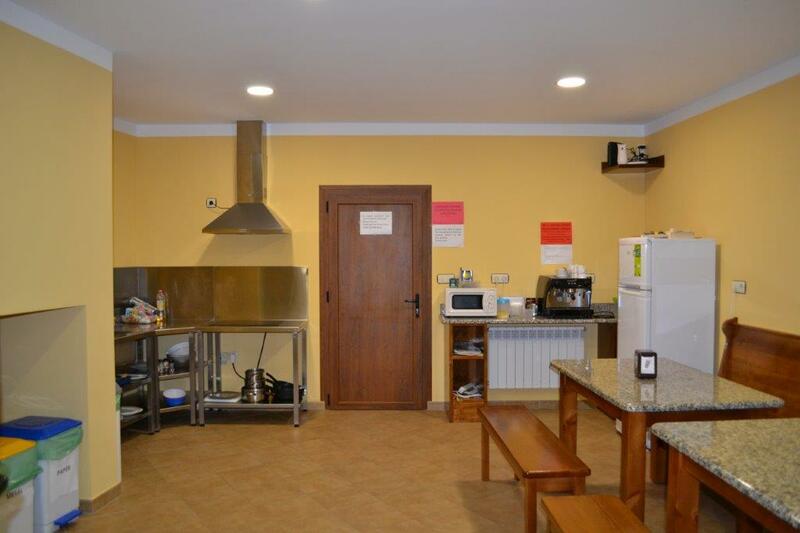 At our albergue you’ll find not only a cozy, homey place to rest and recuperate from a long day on the Camino, but an entire staff ready and willing to help and/or advise you with whatever you may need to continue on your journey. Come and see us, we’re waiting for you…! Campiello emerged as a center of commerce. There is evidence that it was this way as early as the 13th century and documentation from the 16th century corroborates this. In that period there wasn’t much commerce going on in the area, but the little that there was took place in Campiello. It was also here, on occasion, that the area escribano (similar to a public notary or clerk) would write documents. This commerce lasted because of the village’s strategic location, given that Campiello is located at a crossroads and is a waypoint on the Camino de Santiago. In Tineo there were private properties or manor houses, Campiello was of the latter: “Casa de Bustiello.” The tenants, who were our ancestors, payed the rent with the fruits of their harvests (wheat, chestnuts, wool, etc.). According to the oral tradition of our family, it was my great grandfather, Genaro Francos, who bought the properties of the caserío where today sits our albergue. We know that in the mid-19th century he built the “panera” (barn) and an artisan well to obtain water, and also expanded and fixed up property. Later, our grandparents Ricardo and María continued with the improvements. They farmed the land and at the same time ran a bar and offered lodging to those passing through the area on foot. It would be difficult to overstate the remarkable work of my grandmother María, who was widowed at a young age, had eight children, and without knowing how to read or write was able to keep the business alive. Our parents continued with the farming and the business and in 1954 established the bar-shop that today is Casa Ricardo. They also maintained the farmhouse where the albergue itself is today. … And us, we too carry on the family business. 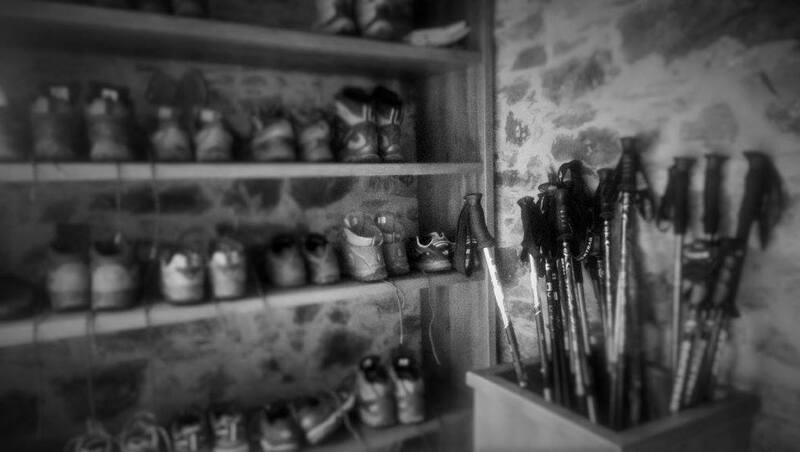 In 2015 we adapted to the times and with the boom of the Camino Primitivo we decided to open the albergue. Since then we have tried to treat pilgrims like family and give them a place to rest and recover after a day on the trail. To this effort we have dedicated ourselves.